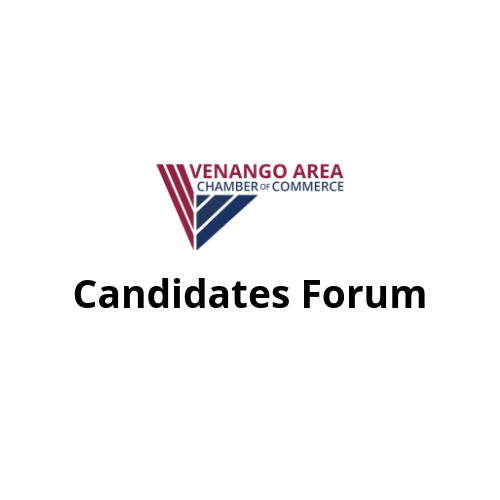 Venango Area Chamber proudly presents the Venango County Commissioner Candidates Forum. Candidates will present in a moderated panel format. Candidates for County Commissioner include: Albert "Chip Abramovic, Sam Breene, Tim Brooks, Joe Carulli, Mike Dulaney, Darrell Karns, and Bonnie Summers.